Meg Black Studios, 48 Prospect St. Topsfield, MA. I will have a sampling of small framed prints and original works for sale. Light refreshments will be served (which is the polite way of saying enjoy a glass of wine in the morning). 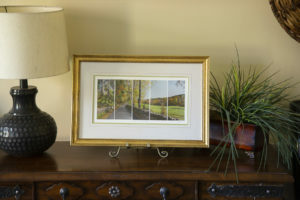 I will have prints of my latest work, Autumn River Road for sale. 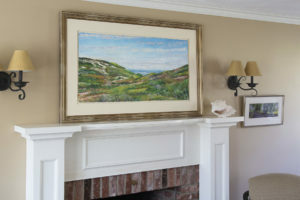 I will have a few original works for sale including this framed seascape painting.